How to use the setup is described in article Picos ARM – HW debugger in Eclipse CDT. Remove the two jumpers from CN2, and place them at the two outermost empty jumper pins marked CN11 and CN12, as indicated by the orange box and lines. See also Figure 7, section 5.2.3 of ref . This all there is to prepare the Nucleo STM32 for its STLink-V2-1 functionality. Connect according to the diagram. The green line is not a 3.3V power supply to the LPC810, but it informs the Nucleo SWD interface on the operating voltage of the target. 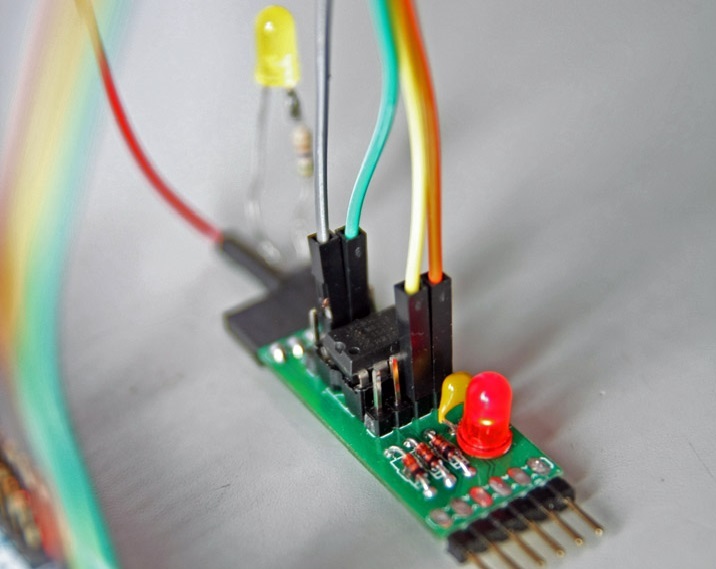 The LPC810 requires to be powered through another source (red wire). SWCLK (yellow) and SWDIO (orange) are the actual debug signals. Nucleo SWD nSRST remains unconnected. 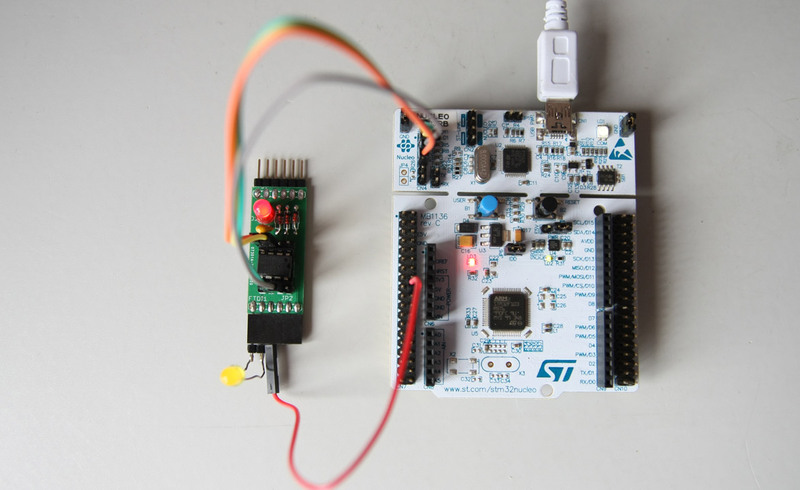 The Nucleo STM32 provides two lines for serial communication of the target. In this example the dashed blue line connects serial output of the LPC810 to the RX pin of the Nucloe STLink. 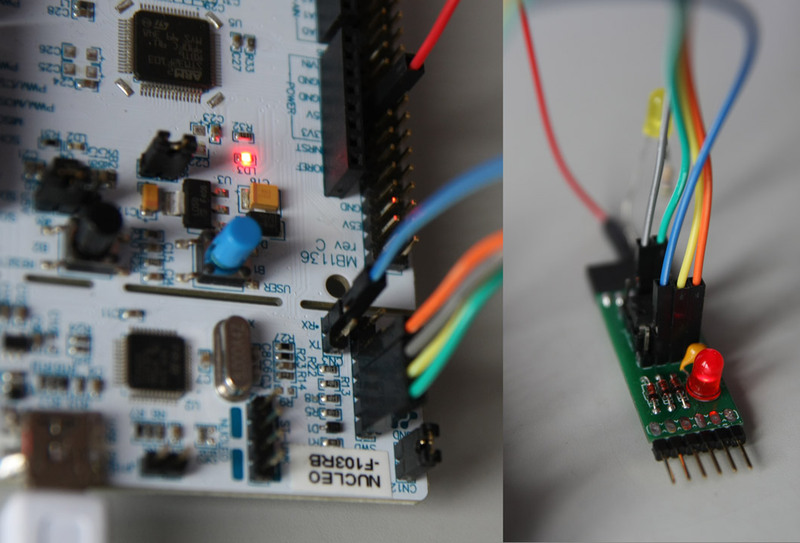 The LPC810 can now print information on the console of the SerialUSB COM port of the Nucleo. 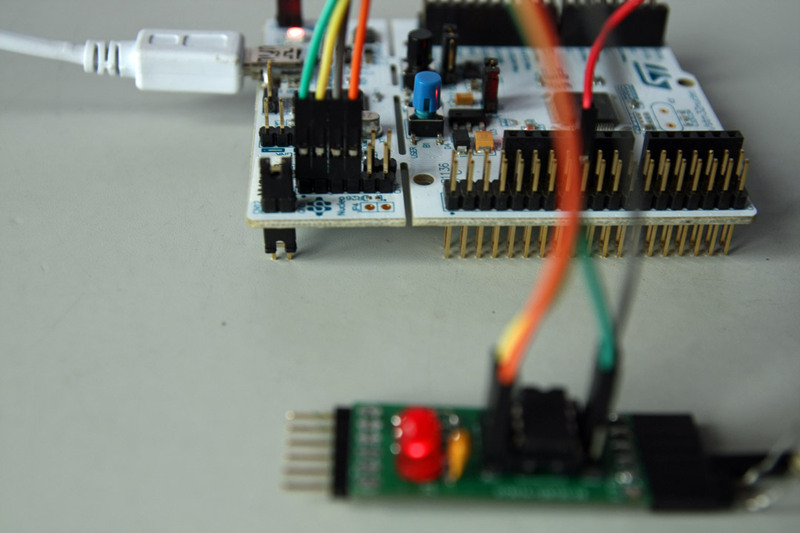 have you ever cutted off the STLINK/v2 from nucleo board? 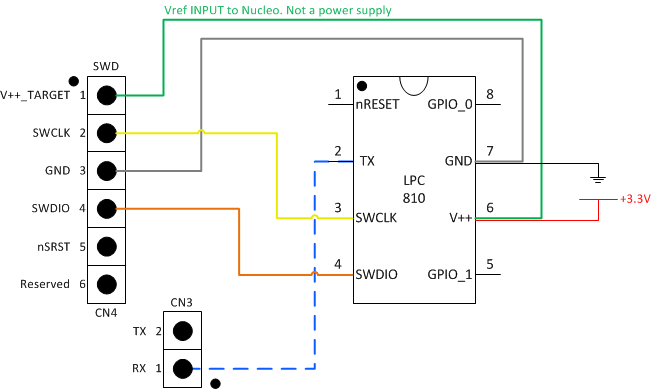 May you post me a connection / power schema to connect a standalone Nucleo Board wired to a Stlink/v2 board?